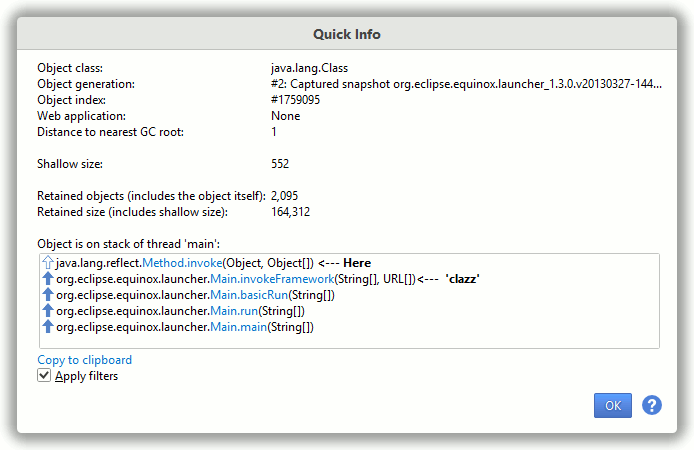 as a popup window invoked with Memory | Quick Info (Ctrl+Q) action. 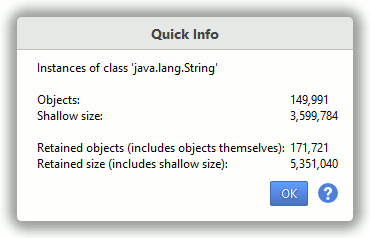 If a single object is selected, its generation is shown. 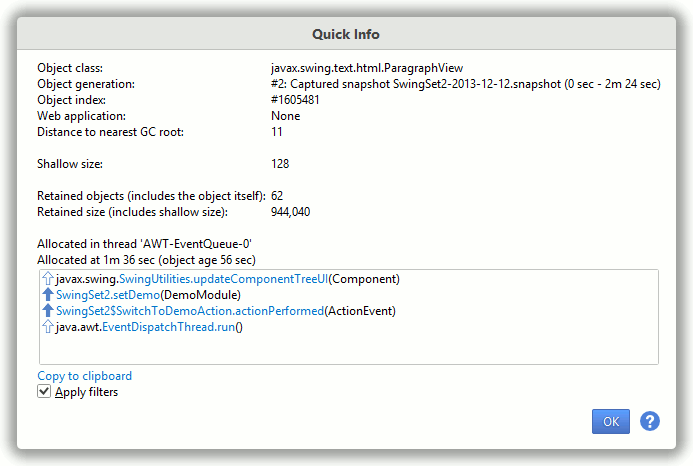 If allocation has been recorded for the object, the allocation thread, stack trace and object ages are shown as well.